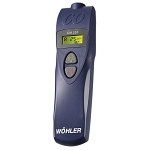 The Wohler GS 300 is a methane and propane gas sniffer that has a range of 0 to 1200 ppm. 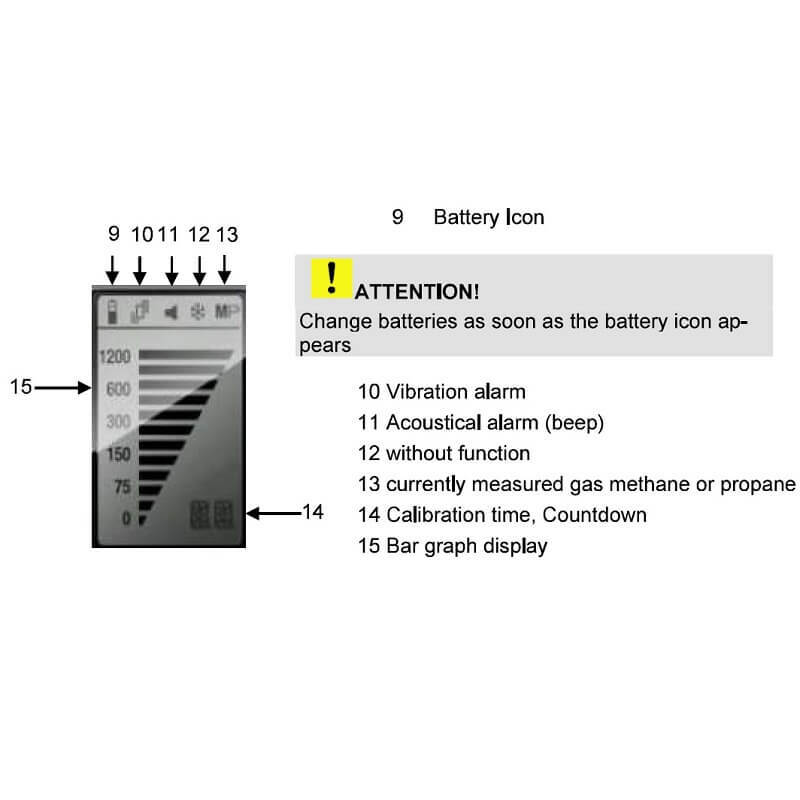 The digital display gives you 12 different levels of concentration to give quick visual confirmation of a leaks location. 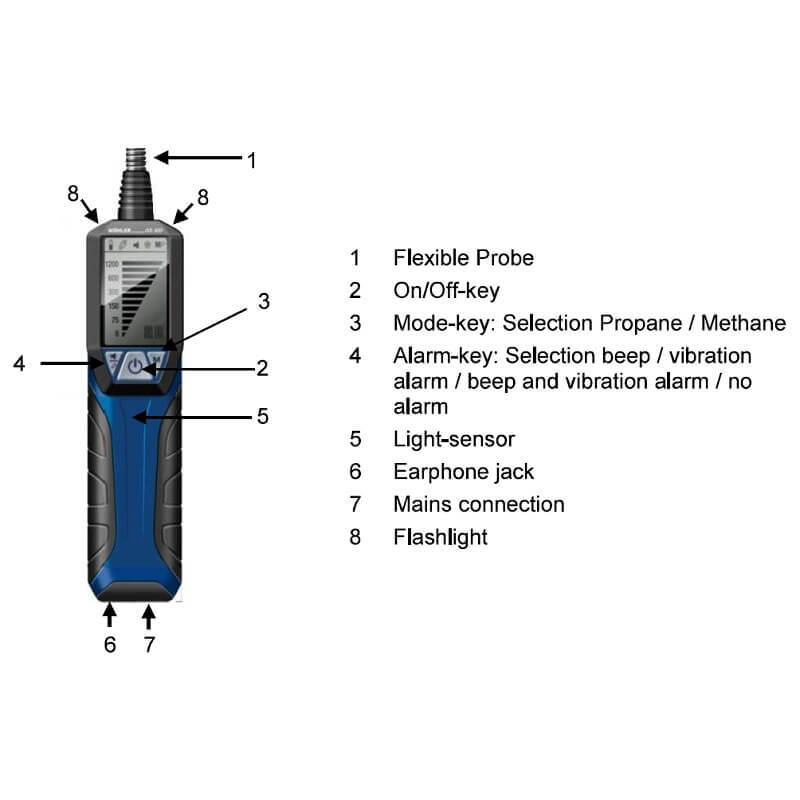 The unit has an audible signal and a vibration alarm to help find even the smallest leaks. 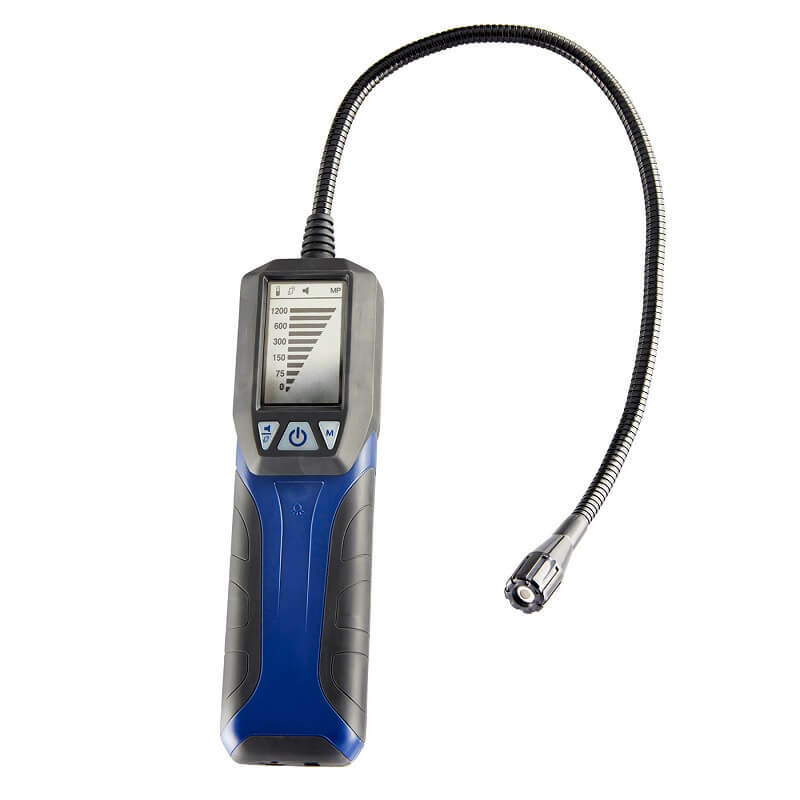 The GS 300 Combustible Gas Leak Detector has two LED's built into the tip of the gooseneck probe and are automatically turned on when entering dark spaces. 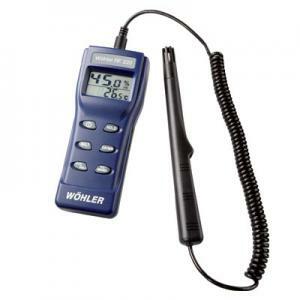 This is great as a simple flashlight while detecting gases in those hard to reach places. 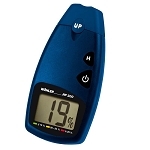 The unit is super light weighing in at only 0.75 lbs. 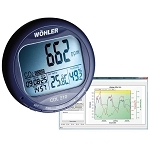 The Wohler GS 300 has an alarm function as an intermittent beep and a vibration alarm. Usually Ships in 3 Days or Less Free Shipping.